A beam matrix of iridescent blue engulfs the distant blackness of Earth-Space. You stand watching. First mesmerized, you now realise the beams carry weapons. Frightening creations in endless configurations. Intriguing to watch, but will you -- yes you, dear reader -- take action? You will??!! Then roll up your sleeves, mount these beams and.....ride!! 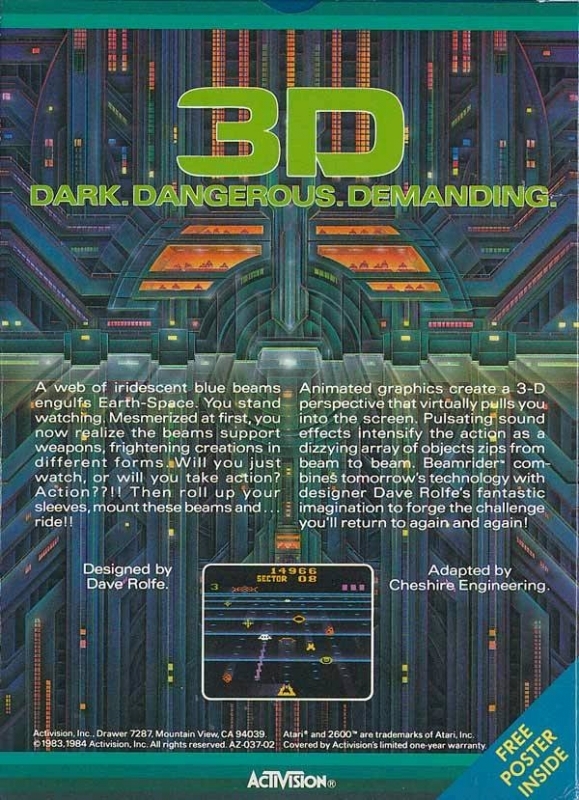 Animated graphics create a 3-D perspective that virtually pulls you into the screen. Pulsating sound effects intensify the constant array of new objects that zip from beam to beam. 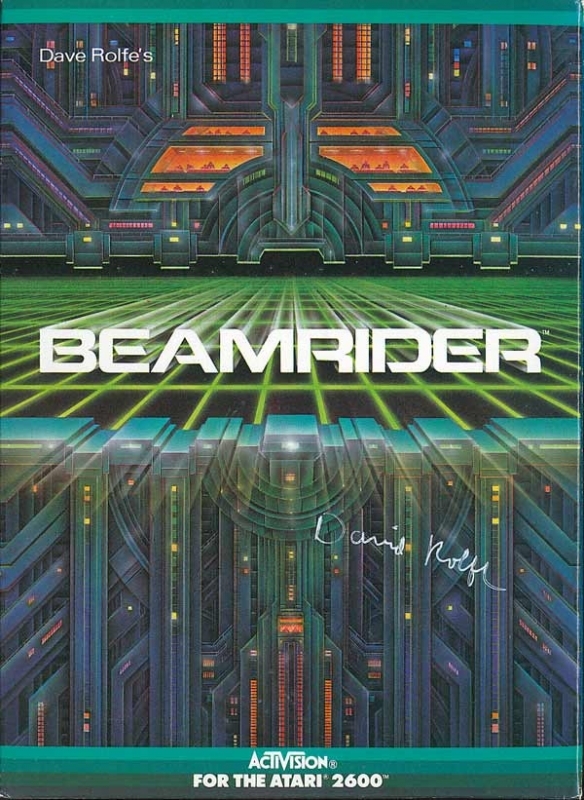 Beamrider combines tomorrow's technology with designer Dave Rolfe's fantastic imagination to forge the challenge you'll return to again and again!